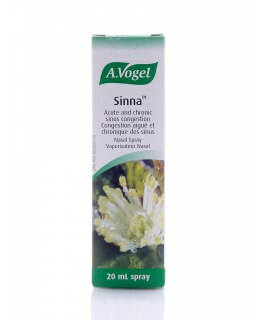 A.Vogel Sinna is a homeopathic combinations of ingredients that work synergistically to relieve infected and inflamed mucous membranes. 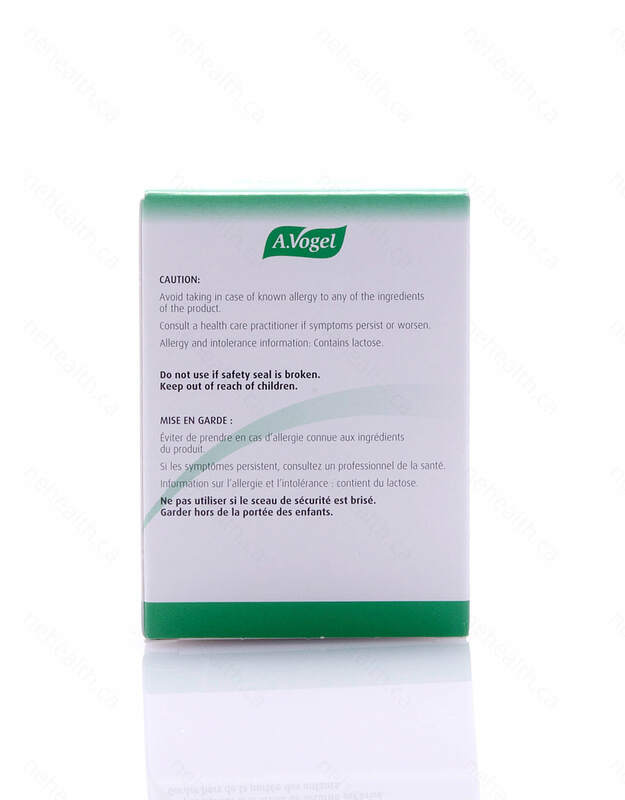 It is generally used for acute and chronic sinusitis, sinus congestion and inflammation with frontal headache, catarrh extending to frontal sinuses, as well as rhinitis. 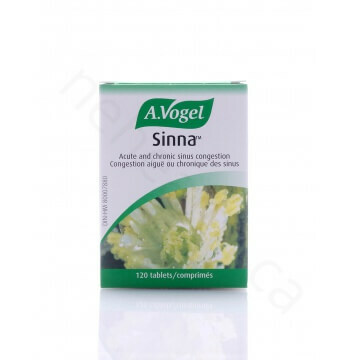 What Are the Key Health Benefits Associated with the ingredients in A.Vogel Sinna? Effective for frontal sinusitis with yellow or greenish, thick or viscous secretions. Relieves nasal congestion, dryness and inflammation. 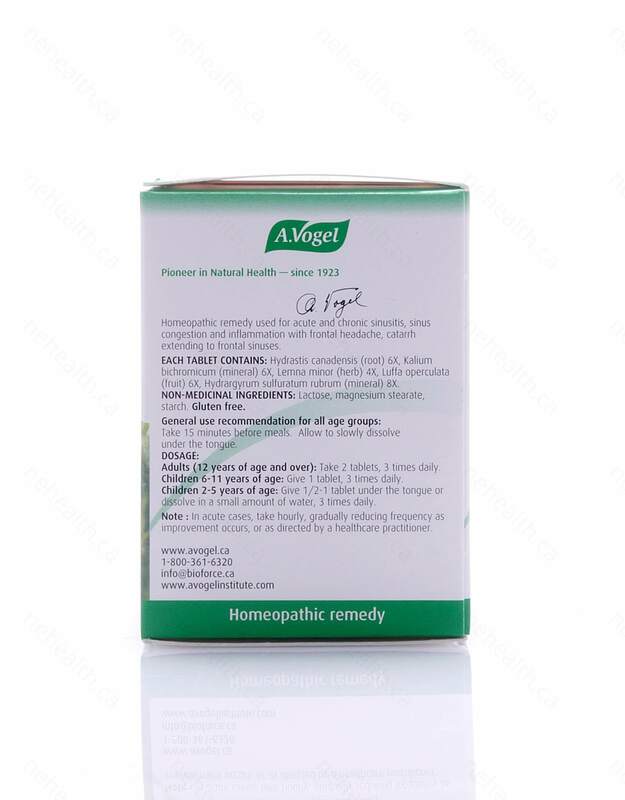 Alleviates catarrh as a result of nasal polyps and swollen turbinates. Good for atrophic rhinitis. Helpful for cases of atrophic rhinitis. Effective for those suffering from crusty dry nose and head cold with pale or yellow secretion. 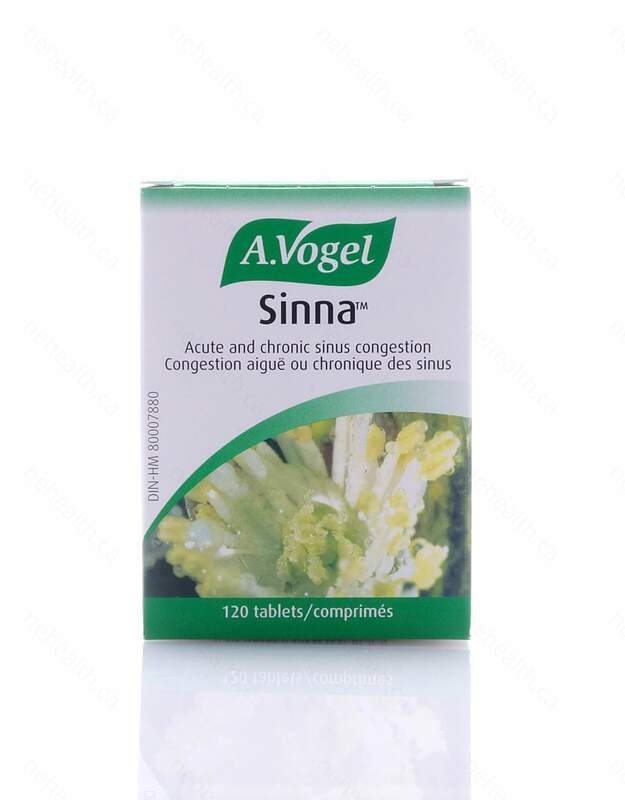 Reduces painful pressure and congestion due to frontal sinusitis. Relieves pain from the roof of the nose to the bones of the face. Non-medicinal ingredients: Lactose , magnesium stearate , starch. Adult (12 years of age and over): Take 2 tablets, 3 times daily. Children 6-11 years of age: Give 1 tablet, 3 times daily. Children 2-5 years of age: Give ½ tablet under the tongue or dissolve in a small amount of water, 1-3 times daily. In acute cases, take hourly up to 12 times daily, gradually reducing frequency as improvement occurs, or as directed by a health care practitioner. Boericke W. Pocket Manual of Homoeopathic Materia Medica and Repertory. B. Jain publishers 1996. New Delhi India.